US Slave: CHAPTER 3: THE SLAVES’ NEW YEAR'S DAY. CHAPTER 3: THE SLAVES’ NEW YEAR'S DAY. DR. Flint owned a fine residence in town, several farms, and about fifty slaves, besides hiring a number by the year. Hiring-day at the south takes place on the 1st of January. On the 2d, the slaves are expected to go to their new masters. On a farm, they work until the corn and cotton are laid. They then have two holidays. Some masters give them a good dinner under the trees. This over, they work until Christmas eve. If no heavy charges are meantime brought against them, they are given four or five holidays, whichever the master or overseer may think proper. Then comes New Year's eve; and they gather together their little alls, or more properly speaking, their little nothings, and wait anxiously for the dawning of day. At the appointed hour the grounds are thronged with men, women, and children, waiting, like criminals, to hear their doom pronounced. The slave is sure to know who is the most humane, or cruel master, within forty miles of him. It is easy to find out, on that day, who clothes and feeds his slaves well; for he is surrounded by a crowd, begging, "Please, massa, hire me this year. I will work very hard, massa." If a slave is unwilling to go with his new master, he is whipped, or locked up in jail, until he consents to go, and promises not to run away during the year. Should he chance to change his mind, thinking it justifiable to violate an extorted promise, woe unto him if he is caught! The whip is used till the blood flows at his feet; and his stiffened limbs are put in chains, to be dragged in the field for days and days! If he lives until the next year, perhaps the same man will hire him again, without even giving him an opportunity of going to the hiring-ground. After those for hire are disposed of, those for sale are called up. O, you happy free women, contrast your New Year's day with that of the poor bond-woman! With you it is a pleasant season, and the light of the day is blessed. Friendly wishes meet you every where, and gifts are showered upon you. Even hearts that have been estranged from you soften at this season, and lips that have been silent echo back, "I wish you a happy New Year." Children bring their little offerings, and raise their rosy lips for a caress. They are your own, and no hand but that of death can take them from you. But to the slave mother New Year's day comes laden with peculiar sorrows. She sits on her cold cabin floor, watching the children who may all be torn from her the next morning; and often does she wish that she and they might die before the day dawns. She may be an ignorant creature, degraded by the system that has brutalized her from childhood; but she has a mother's instincts, and is capable of feeling a mother's agonies. On one of these sale days, I saw a mother lead seven children to the auction-block. She knew that some of them would be taken from her; but they took all. 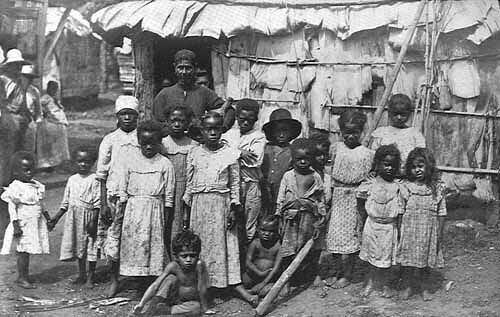 The children were sold to a slave-trader, and their mother was bought by a man in her own town. Before night her children were all far away. She begged the trader to tell her where he intended to take them; this he refused to do. How could he, when he knew he would sell them, one by one, wherever he could command the highest price? I met that mother in the street, and her wild, haggard face lives to-day in my mind. She wrung her hands in anguish, and exclaimed, "Gone! all gone! Why don't God kill me?" I had no words wherewith to comfort her. Instances of this kind are of daily, yea, of hourly occurrence. Slaveholders have a method, peculiar to their institution, of getting rid of old slaves, whose lives have been worn out in their service. I knew an old woman, who for seventy years faithfully served her master. She had become almost helpless, from hard labor and disease. 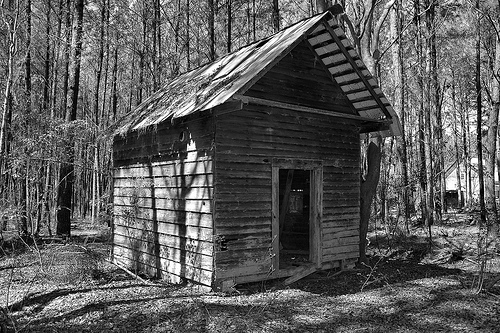 Her owners moved to Alabama, and the old black woman was left to be sold to any body who would give twenty dollars for her. Slavery is the last thing that anyone would like to experience, although in the ancient times it was never a choice. The strong ones always dominated, leaving the weak to the mercies of the brutal. If Massive Hiring for an NGO have been done by people before, it does not mean that you can easily do it. Most of them inquire for assistance, which we are very ready to provide to you. Kindly check the link and get to be assisted. Nice post i have recently update my site about all www.CureInNature.Com issues information please check this out.